Before SharePoint, I would store my Declarations of War here in zis jacket…. It’s often hard to explain what SharePoint is or what you would use it for, in a practical sense. 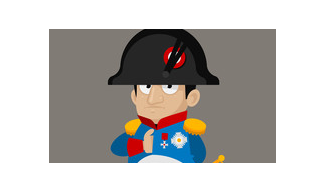 Grand phrases such as Document Management, Intranet, Workflow can often go in one ear and out the other because, like Napoleon, they are a little general. So I figured I would put a simple example out into the world of keenly listening inboxes, of a use case for SharePoint in the real world which actually happened (except maybe with made up names). Picture this, you run a business. You run a successful business. Congratulations, you can retire soon. But first, you need to address one of the thorns in the side of your efficiency. A thorn that has been around since before Bonaparte was an angry child shouting Revolt against ze vegetables! or some other impudent and charming exclamation. What you need is to find a way to save your staff time in finding the same old document that is stored in 4 different folders, with 4 different file names. The same document you spent a whole day trying to recover when your file server went down last week when you could only recover to the previous day’s backup when the latest version was in Folder B when you all thought it was in Folder A. You tried to implement a system a while back and it worked for a while but after Jane left and Tim joined the system wan’t handed over properly and Tim accidentally used the wrong word order in the file name – Quarter1-2016-Corporate-Balance-Sheet-VersionA12.xls instead of Corporate-Balance-Sheet-Quarter1-2016-VersionA12.xls – meaning it didn’t appear alongside the other files alphabetically in Folder A so Jane created one with the correct name. So you had two master versions instead of one. Tim was working on the former whilst Jane, Brian, Beth and William Wallace were working on the latter. Think of the cost of this little scenario to your business. And think how often it may be happening without you or Tim or Jane’s knowledge. After all, everyone has access to Folders A, B, C and D and you never know who has changed which file on which dates and what those changes were. Not so much a balance sheet but a fall over sheet… I’m here all week. 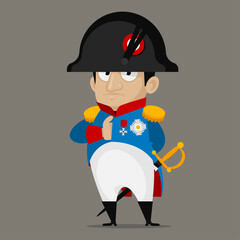 OK, I’m mixing my themes up now, but I’m sure young Napoleon would have enjoyed a bit of Johnny Nash. So, once we have metadata in place, we can now create views based on them. A view is a filtered list of the items within the larger list. A view can show items grouped and sorted by certain metadata and it can show you totals of a column and there are even a few presentation options (e.g. shaded, boxed etc). You can create a number of views and display the link to these views on the navigation menu. In our balance sheet example above, we could create a Balance Sheet view which shows all of your, erm, Balance Sheets. Or we could create a 2017 view which shows all document types for the calendar year of 2017. Grouping would probably make more sense in the latter case, but hopefully you get the gist. Essentially if you compare this to the old folder set up, it is now possible to classify multiple documents with the same category/tag/property whereas in the world of folders files could not exist in multiple folders. Imagine trying to find all 2017 documents held in multiple folders. Zut alors! In SharePoint, we just click the column heading and then choose the year and Allez, everything tagged with 2017 is listed. So we have metadata and we have views, now who can see the documents in this library? Well, only the people who should be seeing them. And you can check if you like. In relation to access control SharePoint works in a similar way to other controlled environments in that individual users or groups of users can be granted access to one or more artefacts. By artefacts I mean documents, libraries and lists, or entire sites (I could also have added folders to that list but I’m trying to get you away from those things…). And there is a way to check who has access to each and every thing and what level of access they have (read, edit etc). Each time a document is edited or modified in any way a new version is created. This is effectively an entire new version of a file. 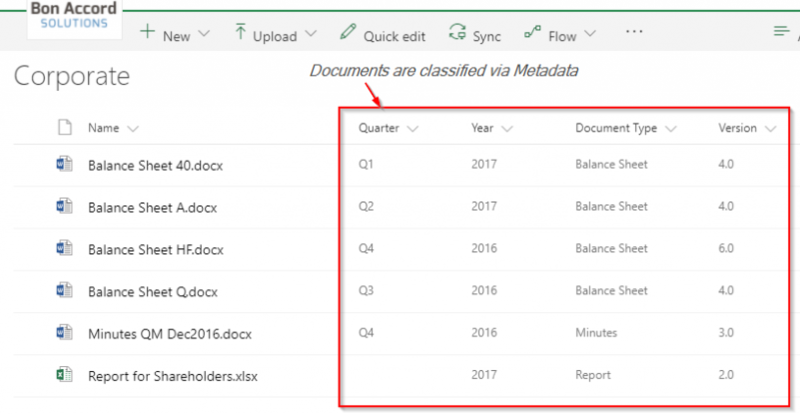 SharePoint has a simple Version History, accessed from the callout on each document where changes, comments, dates and usernames are displayed for each recent version. From here, you can view old versions and if need be restore them. SharePoint has a two-level recycle bin set up, so when you delete something it journeys into first level recycle bin for 30 days, then for a longer vacation in the second level recycle bin for 60 days. So you have 3 months to identify something has been deleted that shouldn’t have been and simply restore it to its former glory. Moreover, if you have solid backup and restore procedures in place you should be able to recover anything you want even if it’s not in the current recycle bins. So there we have it, an expose on how SharePoint can solve the all too common issue of finding-losing-finding-losing documents over and over again like a rascally school kid and his homework, albeit less intentionally. As with most things, particularly in SharePoint, there is more than one way to skin a cat and although the concepts here are pretty much SharePoint 101, the implementation should be undertaken by someone with experience in order that it is done right. But using a combination of well planned metadata, views, access control (and training, we must never forget training. Ever!) and SharePoint’s other native document management features, confidence in your document management system and improvement in efficiency is easily achieved. And you don’t need a revolution. Or a velvety soul voice. Come and talk to us at Bon Accord Solutions about how SharePoint can help you find a sunshiny day.